World Environment Day and the shades of ‘Green’ has been the talk of this blog over the last week. Ever considered the non green, ‘garbage’ part of environment? What is it that we know of this phenomenon? As much as garbage is a function and reality of man-made systems, it has always been a cultural fact and is, since the very beginning, part of the cultural history. 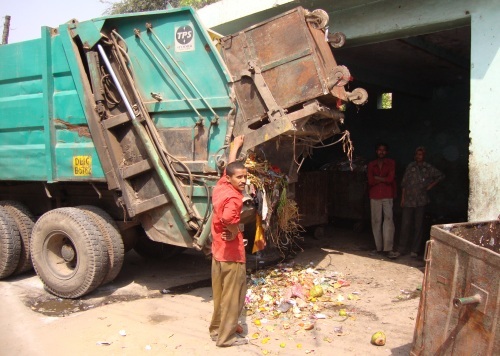 Garbage is all pervasive in that each cultural system, or sub-system such as art, society, religion, including sociocultural and physical environment defines it, with its own logic, category and reality. Thus, garbage is defined and identified in quite different ways by different systems. This means that anything can be considered, or becomes garbage (or more appropriately ‘waste’) under certain systemic conditions. In other words, the same object may be considered garbage in one system and a useful, functional cultural artifact in another. Yet both systems will have to decide where they draw the line between what falls out of order, what is considered impure, what has decayed from its “normal” functioning, what must be refused, rejected and evacuated, and what is part of the normal functioning of the system. It has to make decisions about inclusion and exclusion—and this, of course, on the basis of very complex systemic considerations and processes. Once enough of it produced then the socio-culture-economic systems of that society takes cognizance of it. For example in any agrarian society agricultural waste gets produced in the production of food grains in large quantities. As long as there is substantial agricultural waste generated out of post harvest processing society takes care of it by composting it. With industrialization and associated urbanization leading to increase in density of population, the waste, generated by human beings (not considering industrial waste) be it biological or solid municipal waste, is collected in enough volumes that it has a potential for a billion dollar industry. Along with this economic motivation for its collection and centralized treatment, is the sociocultural and public health justification created out of fear of death, disease, infections and pandemics. Hence it is in the interest of the cities to generate and collect enough of it so that money can be made from it. In case proven economically non-viable such projects could still be justified by playing on fear of death and disease. This is not to say that the fear is unfounded or wrong, but to indicate how the systems are interconnected. This interconnection precludes any other possibility of treating garbage generated in cities. PrevShades of Green: An Environment Day Cover Story! My name is Megan Evans. I’ve just visited your website and I was wondering if you’d be interested in exchanging links with my website. I can offer you a home page link back from my Recycling Guide websitewhich is http://www.recycling4live.com/.